complete protein food which provides all essential amino acids required by our body. 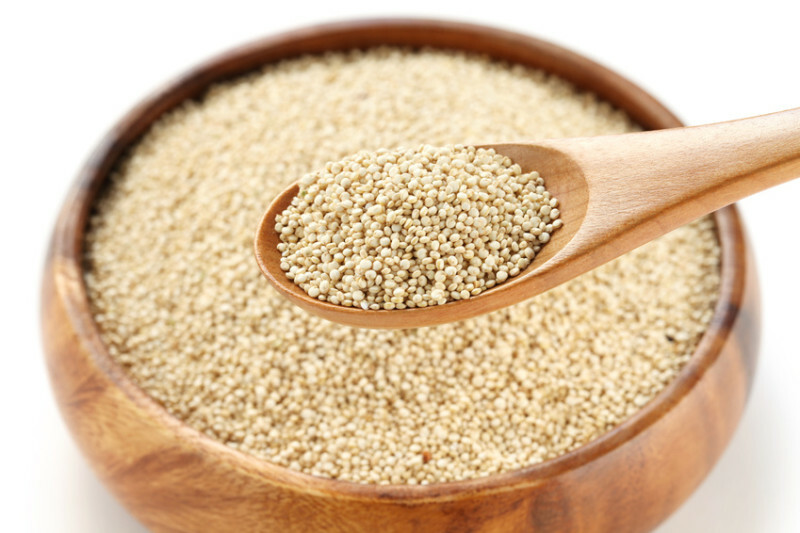 It contains many vitamins and minerals as Vitamins: B1, B2, B3, B6, B9, E. Let’s see amazing health benefits of Quinoa. Quinoa is famous for its protein power. Quinoa has quickly become popular for its versatility, its ability to take on the flavours it’s cooked with, and its impressive health profile. Impressive enough to replace brown rice in your diet. It has protein 3g more than rice. It contains fat double than that of rice. One cup of cooked quinoa has about 40 fewer calories than the same amount of white rice, but the real benefit is in the carbohydrates. White rice has almost 15 times more grams of carbohydrates, and quinoa provides 5 more grams of fibre and doubles the protein. Both rice and quinoa are low in calcium, but quinoa gives you 1% more of your RNA. Also, it has more magnesium compared with other. A cup of brown rice contains just a little bit of folate, with 2 percent of the recommended daily intake, but the same amount of quinoa has 19 percent. Zinc is an essential trace element: we don’t need much of it for our health, but we do need it. Eating some quinoa will help you get it, with 13 percent of your recommended daily amount in each cup. Manganese, Magnesium, Iron, Phosphorus, Potassium, Calcium, Zinc, Copper, Selenium Soluble and Insoluble Fiber Heart-healthy monounsaturated fat (oleic acid), and omega-3 fatty acid (linolenic acid) Antioxidant phytonutrients called flavonoids. The High ratio of protein to carbohydrate helps to regulate blood sugar. As it is a great source of soluble fibre which controls blood sugar and slows the breakdown of carbohydrate into glucose. The high fibre content helps to reduce cholesterol. It has highest potassium level which balances sodium blood levels to maintain low blood pressure. Reach in Iron content so keeps Red Blood Cells healthy which is responsible for haemoglobin formation in our body.